I am a fun, friendly, female instructor, DSA registered and DBS cleared. My aim is that you not only pass your driving test, but I am also committed to developing in my students high levels of driving skill and competency to ensure you many years of safe driving. I believe that lessons should be structured and safe whilst being flexible and also fun. If you are a nervous first time learner, be assured that your lessons will be conducted in a relaxed and friendly atmosphere, on a one to one basis only. I am experienced in teaching pupils with learning difficulties including dyslexia and dyspraxia. 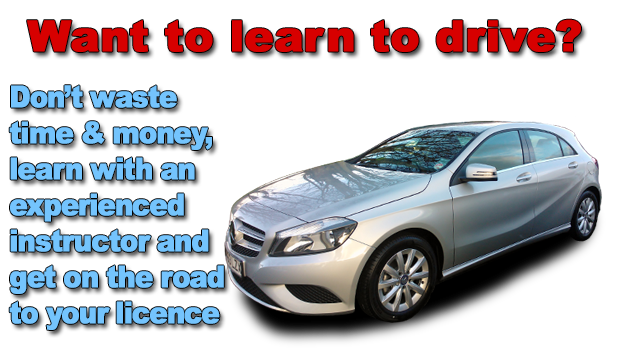 I teach in a modern, air conditioned Mercedes A Class, fitted with dual controls and heated seats! Unfortunately, automatic cars are not available yet.